Inspired by our April’s Hosiery Heaven Edit, elevate your everyday style with the GS Sock Subscription. 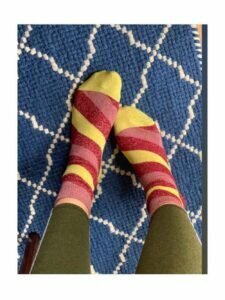 This month’s new Serora sparkly stripe socks were a huge hit on the GS Sock Subscription! 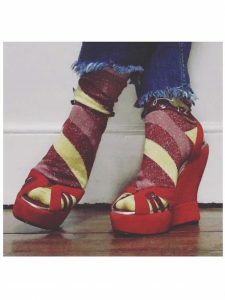 With its contrasting spiral stripes of Bright Yellow, Rose Pink and Vibrant Red, they are summer in a sock. Sometimes all you need is a good pair of sparkly stripes to get through this current stormy climate….April Showers? 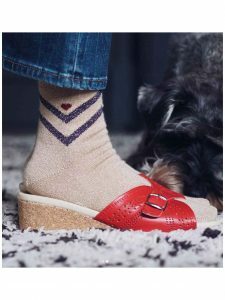 @enbrogue styling her GS Sami socks with Birkenstocks. 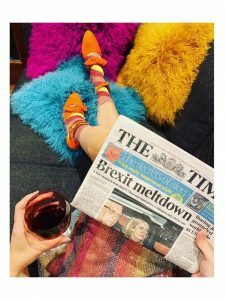 The scattering of colourful silk tweeds adds a gorgeous textural feel to this Spring style, once you try these GS socks you’ll just want to show them off! 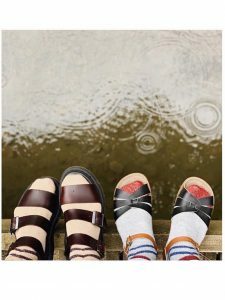 @styleinthestix add a little sparkle to a rainy day with the GS Selina socks and sandals. 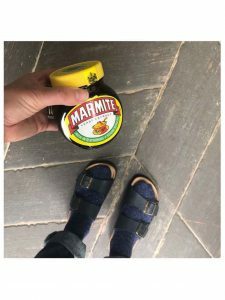 I love how this styling of socks and sandals brings a whole other life to our favourite sandals and shoes. What do you think of this look? Tag me on Instagram @genevievesweeney for the chance to be featured in the next GS Hosiery Heaven Edit. The GS Sock Subscription is the Self-Gift that keeps on giving….every month to be exact. 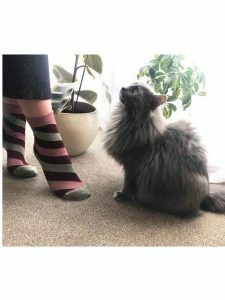 Sign up for the GS Sock Subscription here or Shop the Sock Collection!